Claimed by the Chinese giants in the telecom industry, Huawei, that their latest released model Ascend P6 is the slimmest of all the mobile devices. Launched on Tuesday, the Ascend P6 surely seems to create new waves in the tech sector about its latest claiming from their frontiers of making the smart phone which is slimmer than any other mobile devices. If surged deep, then we can find that the latest released smart phone model from the Huawei is really slim and light. It slips into the pockets of clutches and bags without any problem of spaces. The Chinese telecom giants have designed and aimed at the ultra slimness of the model in comparison to its yet another competitor, the iPhone 5. It is acclaimed by the Huawai team that where the iPhone 5 weighs 112 grams, the Huawai Ascent P6 weighs 120 grams. In the thickness the Ascend P6 is just 6.18 millimeters where the iPhone is at 7.6 millimeters. It can be clearly stated that the touch screen technology power in the latest released smart phone from the Huawai is quite phenomenal; one of the reason is the “Magic Touch” function. The Magic Touch function of Ascend P6 allows it to be very responsive even when one is putting on his glove to use the screen of the device. The Ascend P6 has a LCD screen with 4.6 inches height. If glanced through the over view of the latest released smart phone from the tech giant we can clearly tell that the phone has some special marked specifications, which can keep the smart phone as one of the top competitors in the market. The latest smart phone Ascend P6 comes in with latest version of Android jelly bean version 4.2. Though the smart phone device has not made the probable use of the phablet and has cut down on the screen size, it is 4.6 inches powered touch screen variant. The Huawai has also some new hopes and expectations with the latest released model, thus they are launching their own signature operating system with the launch of this device, name Emotion 1.6 UI. 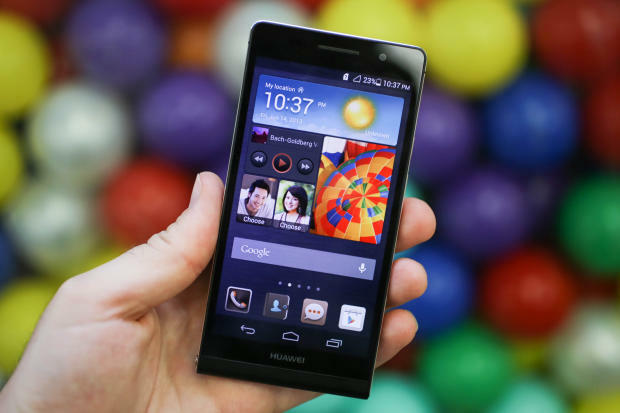 In the aspect of the power and capability the Huawai Ascend P6, released on Tuesday runs on a processor of 1.5 GHz. The Ascend P6 has a chipset comprising of K3V2 power in built in it. But, sadly it has one of the highlighting drawbacks and that is, it has no such variation with the internal storage facility. This is considered as a drawback, as the smart phone offers only 8 GB of internal storage. The feature related to camera marks an impressive highlight. The rear end part of the camera is quite normal rather the most of standard functions. It offers a standard LED flash and has 8 mega pixels. But, the feature of the camera that has struck to everyone’s eye is the front end part of the camera. It is one of the unique feature of the smart phone of Ascend P6 , as it has strengthen the pixel fro 2 mega pixels to 5 mega pixel. This marks the uniqueness in its own way. If you are planning to cash on the latest released model of Huawai Ascend P6, then you can surely do it.